Designed to compliment any décor, the PX-770 is available in either a black, walnut, or white finish. Its compact, elegant cabinet with sliding key cover adds to the beauty of any room. The PX-770 connects via class-compliant USB to any PC, Mac, iOS, or Android device, with no drivers or installations needed. 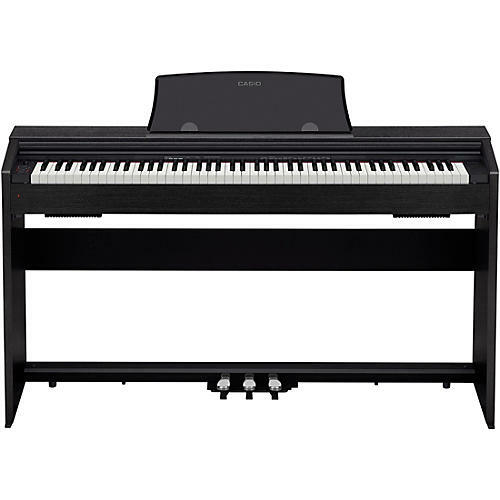 Compact and satisfying to play, this fine instrument is an ideal home piano.